The problem of hair loss can happen due to different factors and reasons. This might happen due to hormonal changes, using a lot of heat products, hereditary, or even stress. It is fact that stress can trigger hair loss and it might affect the hair growth after hair transplant surgery. Obviously, it will not affect hair growth in one day but leading a stressful life for many months will surely affect hair growth. The treatment can be performed with the help of two methods FUE and FUT. In FUE, the hairs are extracted from the back of the scalp and then the hair follicles are transplanted on the affected area where growth is very less. The results of the transplant look natural and the scarring is also very minimal. 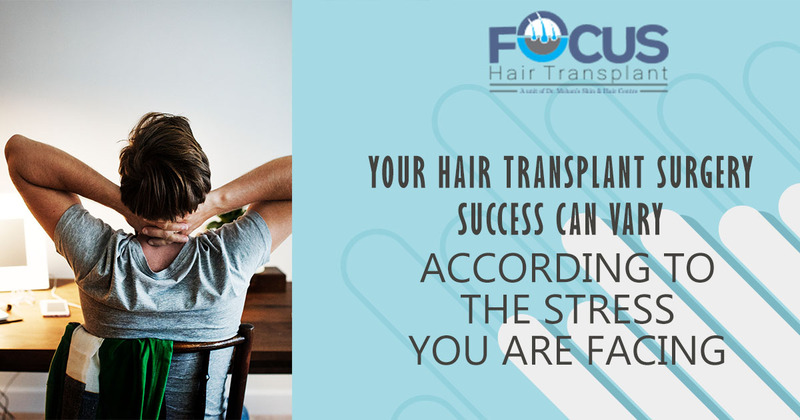 Whereas in FUT, a strip of hair is extracted from the scalp and then it is transplanted where the hair growth is very less. In this case, scarring is more. How Stress And Hair Loss Is Related To Each Other? During the treatment, the hairs follicles are taken from the back of the scalp and then transplanted to the affected area. The transplanted hair will grow in the same manner and they will have the same features as the natural hairs. Keeping in mind that the hairs will function the same then stress can also cause hair fall on the transplanted area. If you are facing the problem after the surgery, then you don’t have to worry because it is normal also. At this time the hairs are in resting stage. The hair growth cycle will be the same because during the cycle it is normal that some hairs will shed. This phase will resume on its own after some time so you don’t have to worry. The good thing is that the hair loss related to stress is not permanent. The hairs will begin to grow naturally once your body and mind is healthy and working normally. How To Treat Stress-related Hair Loss? Some of the effective ways to deal with stress and control the problem of hair loss. Whatever you do make sure to follow it daily and make it a part of your lifestyle.